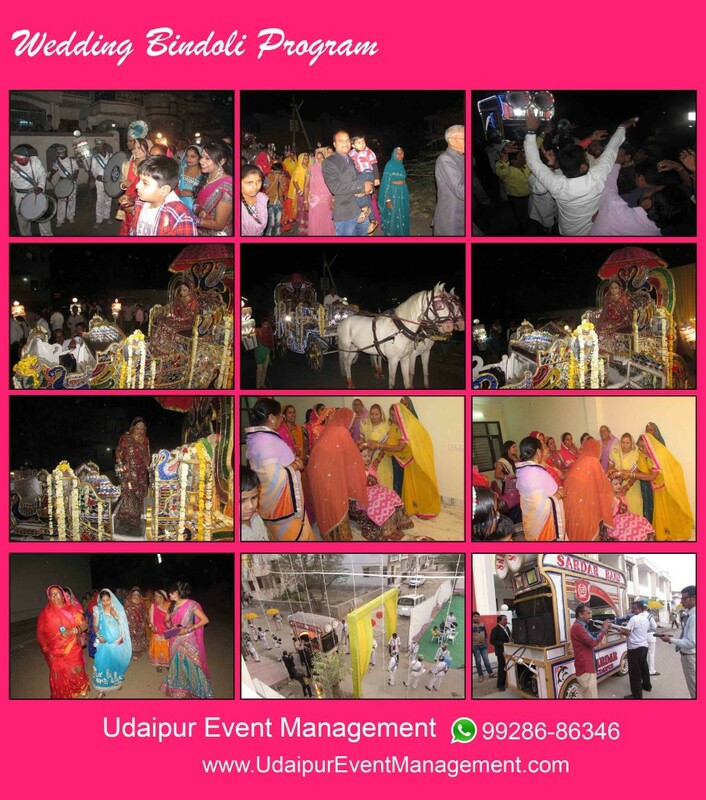 Udaipur Event Management is a boutique wedding planning and consultancy based in Udaipur providing contemporary elegant bespoke wedding design and management services. We bring a fresh perspective and innovative approach to wedding design, event planning & management, merged with traditional wedding planning and etiquette. With our attention to detail, a flair for design and a passion for delivering truly unique wedding events, we can seamlessly produce an exceptional and unique wedding experience. We offer a wide range of services and wedding packages that include full designing and wedding planning in India or in abroad, Home Counties, partial planning and on the day service. 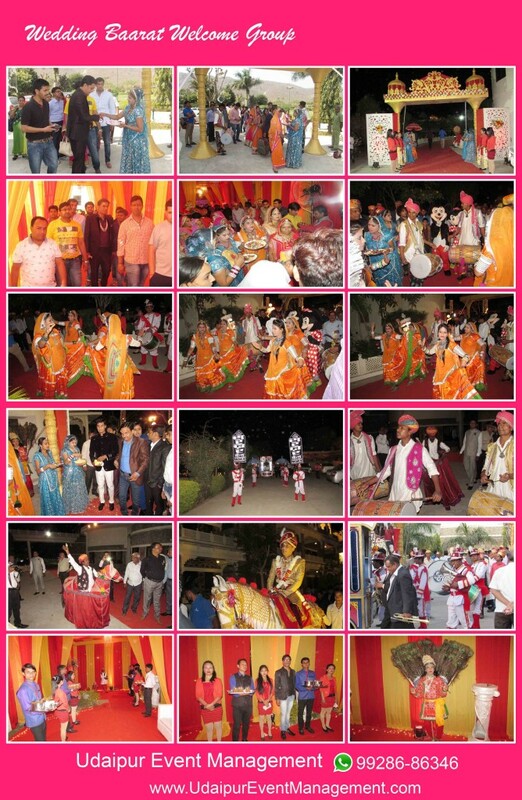 Program of the wedding event management in Udaipur was at udai bagh full of entertainment which organized by Udaipur Event Management, wedding facilities like the Dance, Orchestra ,Music ,Rajasthani folk ,puppet show, with light live instrumental music of flute and table, Mickey mini cartoon character for kids,Moon revolving stage for bride and groom special wedding entry, wedding fire works,fire works showers,cold fire entry,flowers floral wrap sky shot, Punjabi drum clarinet ,nagada,Mizoram girls, Rajasthani welcome girls, catering girls,in tent part entrance inside the Grand stage, elephant gate,welcome Gate, Gallery, lobby decoration, gazebo,Roundtable,frill décor on catering plates,Chair stage light, original flower and artificial flower catering table,plate table, fruit table decoration,salad decoration with Mizoram girls, Rajasthani welcome girls was arranged by food serving food made from completely vegetarian Jain placed method. Welcome to morning procession and Rosary Rajasthani girls garlanding the guest baarati by Tilak. Tilak and all Indians were playing a morning rise breakfast organized Rosary garden restaurant has been engaged in the day’s program was placed in which all guests by the Mizoram Rajasthani girls girls were welcomed and he was honored by the flower for all women was arranged which flower gajre .Mizoram girls was crowned by All men in the Court rose flowers and honours evenings welcome procession with horse standing at the entrance to baggi raw Mare &amp; drum Mickey mini cartoon character, Rajasthani welcome girls by Rajasthani dancers, Peacock dancer was brought on the white horse and groom Rajasthani ghoomer dance by the artist were exhibited in marriage was the Moon revolving stage, special appeal in which the bride and the groom are warmly while moving on the revolving stage of The Grand entry of the bride flowers that wrap warmly made by pandit priest wth mantrochar by the time of warmly appreciated enough by anyone provided that Pandit-ji .Mic arrangements at bride and groom pheras in mandap so that all spells and mantras can be heard correctly after the cake cutting,seven pheron was arranged after bride has been warmly farewell for which doli has been arranged in accordance with the tradition of Rajasthan. उदयपुर इवेंट मैनेजमेंट द्वारा वेटिंग का यह कार्यक्रम ऑर्गेनाइज किया गया. जिसमें वेडिंग के अंदर एंटरटेनमेंट से रिलेटेड काफी सारी सुविधाएं दी गई. जिनमें पपेट शो, राजस्थानी फोक डांस, ऑर्केस्ट्रा फ्लूट म्यूजिक इंस्ट्रुमेंटल म्यूजिक, कार्टून करैक्टर मिकी मिनी, चांद रिवॉल्विंग स्टेज, फायर वर्क्स वर्ल्ड फायर वर्क्स, स्काई शॉट, फूलों की चादर फूलों की बारिश, पंजाबी ढोल, शहनाई नगाड़ा, मिजोरम गर्ल्स, राजस्थानी वेलकम गर्ल्स, कैटरिंग गर्ल्स एवं भव्य स्टेज बनाया गया. जिसके अंदर एंट्रेंस पर हाथी गेट, वेलकम गेट, गैलरी, लॉबी, गज़िबो, राउंड टेबल, कैटरिंग, फ्रिल डेकोरेशन, चेयर डेकोरेशन पर विभिन्न डेकोरेशन एवं स्टेज लाइट ओरिजिनल फ्लावर, ओरिजिनल फ्लावर इन आर्टिफिशल फ्लावर केटरिंग फील्ड टेबल प्लेट टेबल फ्रूट डेकोरेशन सलाद डेकोरेशन मिजोरम गर्ल्स राजस्थानी वेलकम गर्ल्स द्वारा फूड सर्विंग की व्यवस्था की गई खाने को पूर्णतया जैन विधि से बनाया गया एवं शुद्ध शाकाहारी रखा गया. बारात का स्वागत सुबह राजस्थानी गर्ल्स के द्वारा तिलक व माला पहनाकर किया गया. सभी बाराती को तिलक व माला पहनाई गई. सुबह ब्रेकफास्ट का आयोजन उदय बाग के रेस्टोरेंट में किया गया. दिन में सगाई का प्रोग्राम रखा गया. जिसमें राजस्थानी गर्ल्स वह मिजोरम गर्ल्स के द्वारा सभी अतिथियों का स्वागत किया गया एवं उनको फूल के द्वारा सम्मानित किया गया. सभी महिलाओं के लिए गजरे की व्यवस्था की गई थी. जोकिमिजोरम गर्ल्स के द्वारा उनको पहनाया गया सभी पुरुषों को कोर्ट में गुलाब का फूल लगाकर सम्मान दिया गया. शादी शाम को घोड़े बग्गी के साथ बारात का स्वागत द्वार पर खड़े कच्ची घोड़ी व ढोल मिकी मिनी कार्टून करैक्टर राजस्थानी वेलकम गर्ल्स राजस्थानी डांसर मयूर डांसर द्वारा किया गया दूल्हे को वाइट घोड़े पर लाया गया एवं राजस्थानी कलाकार के द्वारा घूमर डांस का प्रदर्शन किया गया शादी में विशेष आकर्षण चांद रिवॉल्विंग स्टेज रहा जिसमें दूल्हा और दुल्हन रिवॉल्विंग स्टेज पर घूमते हुए हैं वरमाला की गई दुल्हन को फूलों की चादर से भव्य एंट्री कराई गई वरमाला के समय 11 पंडित के द्वारा मंत्रोचार करके वरमाला करवाई गई जिसको सभी लोगों ने काफी सराहा मंडप में पंडित जी के लिए माइक की व्यवस्था रखी गई जिससे कि सभी मंत्र सही से सुने जा सके सात फेरों के बाद केक कटिंग की व्यवस्था की गई वरमाला के बाद दुल्हन को विदाई दी गई जिसके लिए राजस्थानी परंपरा के अनुसार डोली की व्यवस्था की गई. 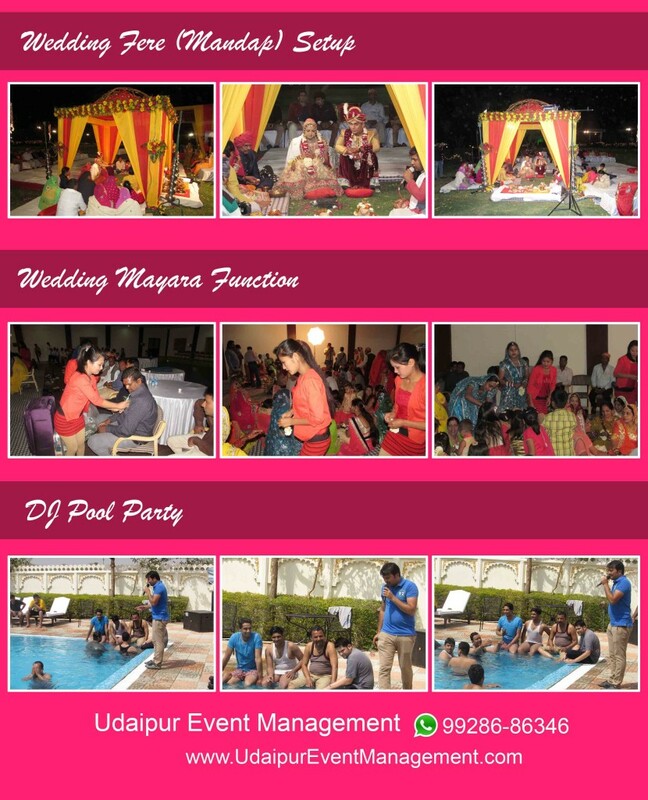 The various artist management companies in Udaipur are well known for the finest services that they provide in the field of management of events. Different types of performances and stage directions have become an essential part of the events nowadays. These performances have become an element of attraction as well as entertainment for the audience. 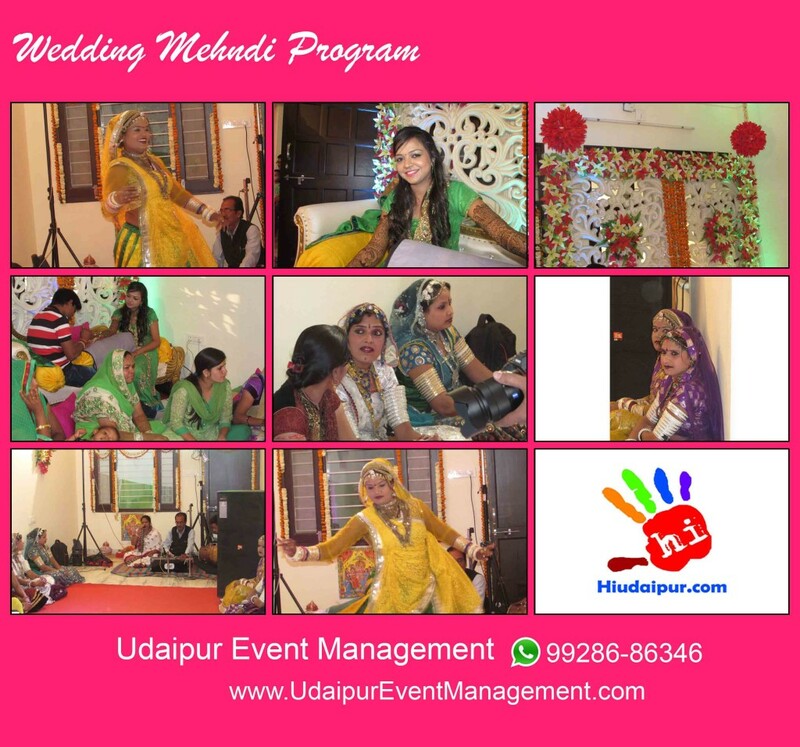 These Artist management companies in Udaipur hire a skilled and trained team of employees that execute all the work of artist management throughout the event. These companies build a very good and friendly relationship with their clients and customers. The first priority of all these management companies is to cater all the needs and requirements of their clients and consumers. These companies deal with different kind of artists, depending on the priorities and needs of their clients. They deal with hiring, and accompanying them to different events. This service is best known in order to avoid any kind of unforeseen situations with the performers and last minute pending tasks. 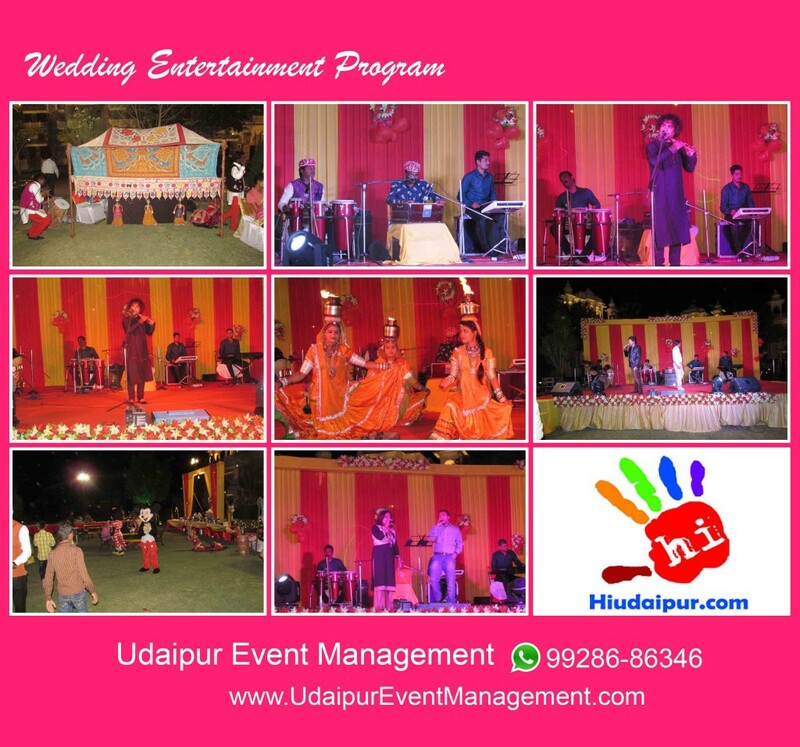 Udaipur Event Management take due responsibility for arranging the best services for your wedding to make sure all the traditions and values are followed to their core, we provide you with the best wedding bands in Udaipur. We also provide other services like arranging baggi, ghori and all other items needed for a perfect procession of the groom. We have the perfect arrangements to get you the best ghori arrangements in Udaipur and that too within nominal budgets makes it a point that a groom’s baraat, the bride’s Vidaai and Vadhu-Pravesh are solemnized in a complete traditional and organized way. Other than providing bands for wedding in Udaipur, we also specialize in whole lot of other services like Shehnai arrangements, Floral Baggis, Floral Umbrellas, Dhol and Bhangra Parties, Folk Dancers and Musicians, Elephants and Lighting and much more. We can arrange the services of excellent Udaipur ghori arrangements for your functions and that too at the best prices. We also provide baggi arrangements in Udaipur and beautiful dolis for brides customized as per your taste and preferred decoration materials like flowers, mirrors, tissue etc. 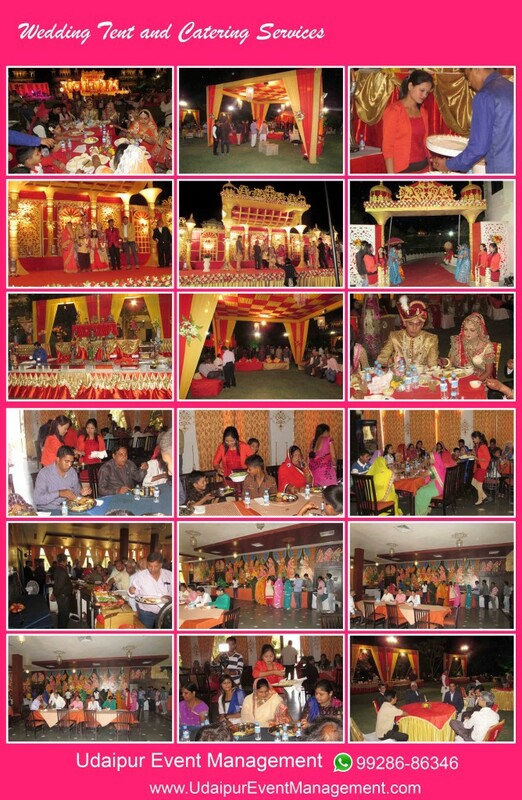 Udaipur Event Management organize Ladies Sangeet Party for our clients satisfaction. These services are delivered by our experts who have long experience in the domain. Further, sound and lights are also arranged by us for making the event splendid and memorable. We ensure that these services fully satisfy the clients and guests talk about it for a long time. Further, we provide these services to the clients as per their budget specifications.A sangeet is an Indian ceremony prior to the wedding. This event takes place two or three days before a wedding in a Banquet Hall or if a small affair, we provides musical sangeet services. 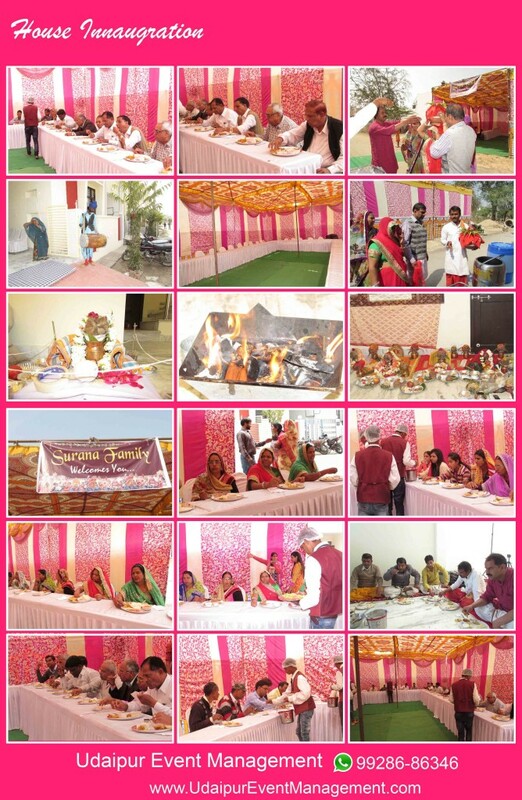 It is one of the most enjoyable ceremonies before the wedding and is exclusively for women. Sangeet ceremony is held few days before mehndi ceremony and comes as a time for joy and merriment amidst the hectic hustling bustling. Our catering services are available for all across Udaipur, Rajasthan. So next time when there is a function in your family or office, do contact us via email or call to know more about our services and to get details about rates of catering services in Udaipur, Rajasthan. One of the important pre-wedding functions is ladies sangeet/ mahendi ki raat that is celebrating with all pump and show now a days. We have full team of Singers/Dancers to make this occassion also very special by rending traditional songs, boli, tapay, gidday. Our Artists ensure that all present relatives and friends participate in the function with gusto. We make them dance and sing and make each and every member feel important. 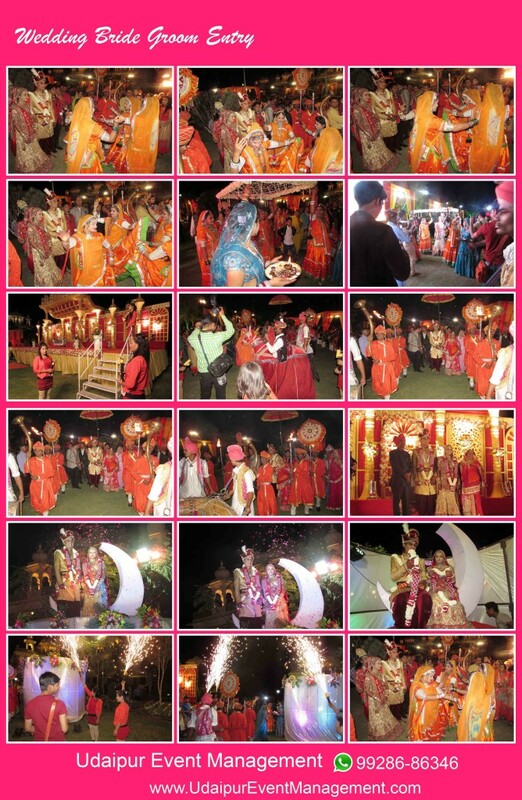 We are specialist of Ladies Sangeet Organizers in Udaipur & mehndi ki raat, ladies sangeet group in Udaipur. We have male & female singers, dancers, emcee (anchor), choreographer which can perform on music with dholaki player and orchestra band. Group. we can perform following types of songs (geets) for ladies sangeet occasion.It is well known that a Sangeet is the best and most important day in one’s life. We understand this completely and therefore, we put in the best of our efforts to make this special day very unique and memorable in a personal life. These days, the bride and bridegroom are the decision makers. They are constantly updated with trends from across the globe through social media and the internet. Wedding planners constantly research how ceremonies take place in different parts of the globe. These ideas are then inculcated into the event. Wedding planners suggest small and intimate functions, which can deliver an ‘experience’ for the guests. Such functions also prevent wastage of food and resources. Reception parties are often planned for the evenings where entertainment is mixed with food and drink during the event. These entertainment options can range from live band performances to gazals to sufi dancers to dramatic entry sequences. Activities such as mehendi and caricature also engage the guests. Udaipur Event Management provide a comprehensive range of services for Hotels & Event Industry including Light & Sound Hiring, DJ Setup, Light & Sound Design, Audio Visual Systems, Studio Recording, PA system, DJs and Emcees. Our Product Launches, Live Concerts, Corporate Meetings, Seminars, Conferences, Fashion Shows, School Functions, College Festivals, Weddings, Sangeets, Theme Parties – Rajasthani, Arabian, Village and many more. Our experience, high quality equipment and professionalism can add to the quality and value of your Event. We’ll make your Event a success with our Entertainment. We welcome the opportunity to discuss your vision, match it up with our Services and make your Event a memorable one.